So Kepler gets to keep doing what it was – in a general sense – designed to do (and which it has arguably exceeded expectations)! Three cheers for the astronomers, engineers, software people, etc whose hard work and brilliance made this possible. K2 is still proposed right now. The plan needs to get through NASA review and then Senior Review of the mission in the Spring of next year. Hopefully fingers crossed, it will be approved. The science from K2 is intriguing, and I hope the mission gets approved. Meg, great K2 post – Love the mountain, My reason to name it K2. Can you update ? not proposed now but real Thanks! Thanks Steve. We don’t tend to go back and edit blog posts since newer posts will replace the information from older posts. I wrote an update post on K2 back in May with more updates from the results of the NASA Senior Review. You can find here. PS. 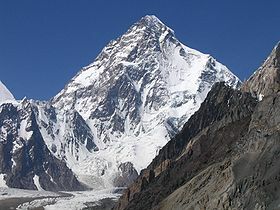 K2 is a great name for the mission.